Every traveler should expect to pay more this summer. Whether you’re taking a traditional summer road trip, flying to Europe, or even just going on a group tour, rising fuel prices are putting the squeeze on all types of travel costs. However, there are ways to cut back. Below are some savings strategies that may offer relief from those prevalent gas pains. Carpool with friends and family. One car means less fuel, and one tank split multiple ways means less money for everyone to spend. 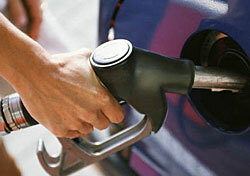 Check to see which car models have the best fuel efficiency. “You’ll want to avoid SUVs and minivans and go for mid-size cars, as generally they are more fuel efficient,” recommends Barbara Messing, vice president and consumer travel expert at Hotwire. Inquire at your rental car agency about hybrids, miles per gallon by model, and which of their cars tend to get the best mileage. Be conscious of your driving habits and keep your car well-maintained. Studies show that cars with good tires, driven within the speed limit, and with little use of air conditioning tend to get better fuel efficiency than others. Do some research before hitting the road. AAA enables you to estimate how much your trip will cost with its fuel cost calculator, and Gas Buddy allows you to find the cheapest gas prices by zip code. Take public transportation. If you’re going to a city or region with extensive subway, bus, or rail lines, consider foregoing a rental car and use affordable mass transit. Use common sense, and use your car sparingly. Get outside and enjoy the summer weather by bike, on foot, or on in-line skates. Think of your car as a luxury only to be used when absolutely needed. Additionally, many lodging properties are offering fuel incentives when you book a stay this summer. Hotels.com has a new $30 gas rebate deal for bookings made by May 29 (travel is valid through early July). BedandBreakfast.com is listing B&Bs with free gas promotions (click on the drop-down menu and select “Free Gas Promotion,” then click “Go”). Specific regions are offering assistance, too: Costa Mesa, California, has a region-wide gas rebate when you stay at a participating hotel, as does Branson, Missouri. It’s not just cars that are feeling the gas price gouge. Airlines have absorbed the fuel price increase by raising ticket costs, and even tour companies, such as the Boston Duck Tours, have recently raised ticket rates to offset their added costs. Regardless of your itinerary, plan to budget extra for these new fuel surcharges. And when you see a good deal for what you’re planning, nab it. So wherever your summer travels may take you, consider budgeting a little extra this year. With careful planning, you’ll be able to take a trip that doesn’t squeeze either the gas tank or your wallet.